So Friends we open internet browser and type "deleteyouraccount.com" and enter. You can also search your Social Media Website here or click directly. 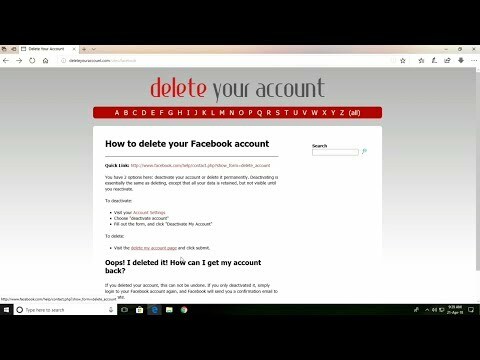 Here are two ways "to deactivate your account or to delete your account". Firstly we learn to "deactivate the account". Here we click on "edit" button and the click on "Deactivate Your Account" button. Now we learn to "delete your Social Media Account". Click here and click on "Delete My Account" button to delete your Social Media Account.